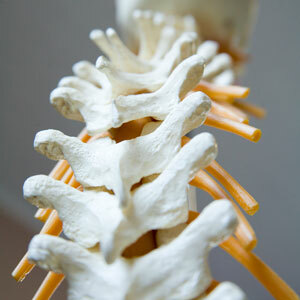 At Gallagher Family Chiropractic, we use a number of highly-effective adjusting approaches to help improve spinal biomechanics and reduce nervous system interference. The approach we use is based on our clinical judgment and years of experience. First, an analysis of your spine is performed. This can initially involve a case history and X-ray pictures of your spine. Subsequent visits may include motion palpation, with the chiropractor feeling the spinal joints move as you turn and bend. Or, a leg check may be performed, to uncover an imbalance in the neck or lower spine. Named after its developer, Dr. Clarence Gonstead, this approach came from his engineering background. His “foundation principle” explains how a sub pattern in one area of the spine can produce compensatory changes in another. After studying your health history, we conduct a complete examination. This generally includes full spine X-rays and precise analysis. Using a small heat-sensing instrument, sub patterns are revealed by slight differences in temperature. Finally, we use our fingertips to “palpate” or feel the location of individual bones and how they may differ from their normal position. To adjust your lower spine and pelvis, we’ll have you lie on your side. Subs in the middle back are corrected as you assume a comfortable kneeling position. When you are seated, we can restore the integrity of your spine without twisting or rotating your neck. If you’ve been to a chiropractor before and prefer to be adjusted in a particular way, let us know. We want you to relax, enjoy and fully benefit from your chiropractic care. Contact us today to make an appointment with our Allentown chiropractor.